Mahabharata story: Bimas power of concentration and dedication! There are some devotees who want to show off. For hours they meditate, for hours they chant, for hours they repeat the name of Lord Krishna. They look down upon others who do not spend so much time meditating and chanting. Arjuna happened to be one of these. If you remember, one of Arjunas brothers, whose name was Bhima, was the in strongest in the family. Bhima never, never prayed to any god. and at the same time a great fighter. But Arjuna used to pray to this God and that God; he had to please all the Gods on earth. daily Arjuna used to collect hundreds of flowers and offer them to Lord Shiva one by one. of Lord Shiva. Then pride entered. What Bhima did was very simple. He would put his fingers on his forehead and concentrate for a couple of minutes before each meal. Then he would eat voraciously. This was his meditation! Poor Arjuna would spend hours gathering flowers, but Arjunas pride could not escape Sri Krishna. Sri Krishna said to Arjuna, Come, let us go for a walk. As they were walking, they saw a man drawing a cart. The cart was loaded with flowers. All kinds of flowers. Arjuna said to the man, What are you doing with these flowers? And where are you going? The man had no time to respond to Arjuna. Sri Krishna said, Arjuna, let us follow him. 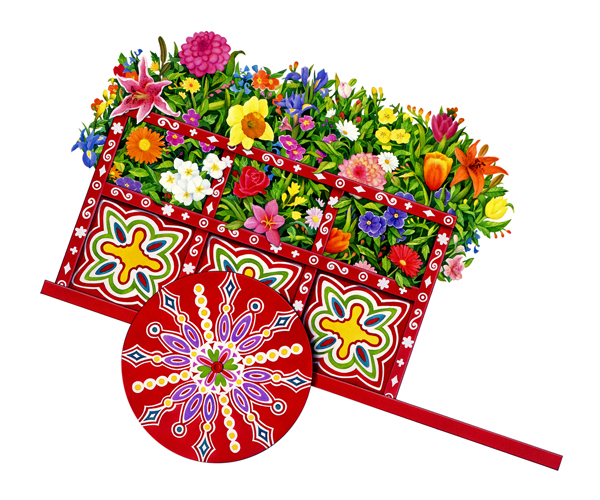 When the man reached his destination, there were many more carts of flowers. What are you going to do with all these thousands and millions of flowers? Arjuna inquired. I have no time to speak to you. I am now in serious concentration spoke the man. I can speak only to one person on earth, and that is Bhima, the second Pandava. He is the greatest spiritual seeker. When he meditates before his meals just for a minute or two, saying O mighty Lord Shiva, thousands of flowers are offered by him to Lord Shiva. His concentration is most intense. His meditation is most sincere. Arjuna only throws flowers at Lord Shiva. He just shows off. Lord Krishna said to Arjuna, I wanted to teach you that it is not the number of hours, it is not the number of flowers, but it is the power it is the power of dedication that counts. So it is not how much big services and projects we do for Krishna but with how much bhakti – devotion.